Some of the Over and Above team headed to New York in June and availed of the chance to see what was happening around mid town Manhattan in the coffee and food sector. Our brand safari lead us to some of the popular eateries and was interesting to see how they are evolving and growing their business in a market that is generally decreasing in the USA (by 3% overall nationally in 2015). 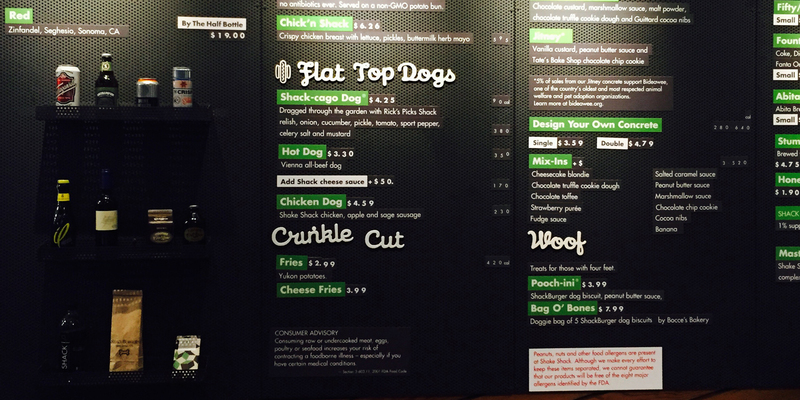 We looked at “Shake Shack”, the casual fast food chain associated with the well accredited Chef Danny Meyers. Great food, good design and long queues that moved fast – it didn’t take long to see this was a busy eatery. This restaurant falls within the “casual fast food” sector. This sector itself is growing nationally (and the newest trend within this sector is the vegan option). Accessable price points are also key. 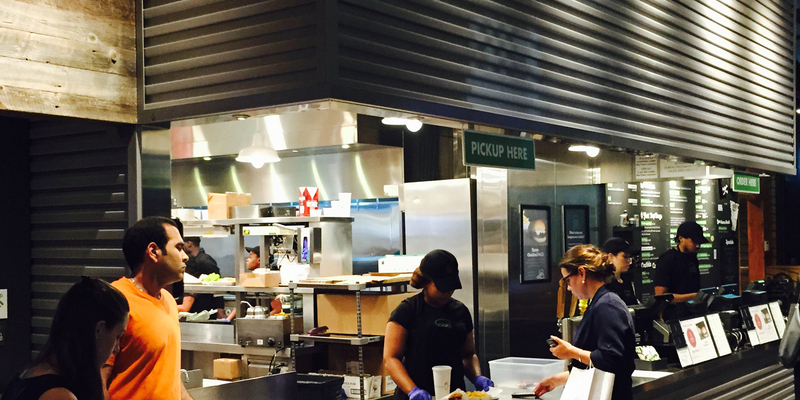 So what is “Shake Shack” doing well in terms of the fit out? We loved elements of the design and noticed how cleverly they are using the industrial vibe to keep installation fit out costs to a minimum. It still looked cool and hip and it did focus on details to give it an edge to some elements of the fit out. We loved the simple industrial vibe with graffiti type murals to add the pop of colour to the seating areas. The flow through the restaurant worked well and allowed the customer journey from entry to the table to be hassle free. Clear menu boards with quirky mixed fonts added to the eclectic design. The menu boards are a point of difference almost looking like they were done absent mindedly, using 3D lettering on poppers (until you see the follow through of the font to the website). 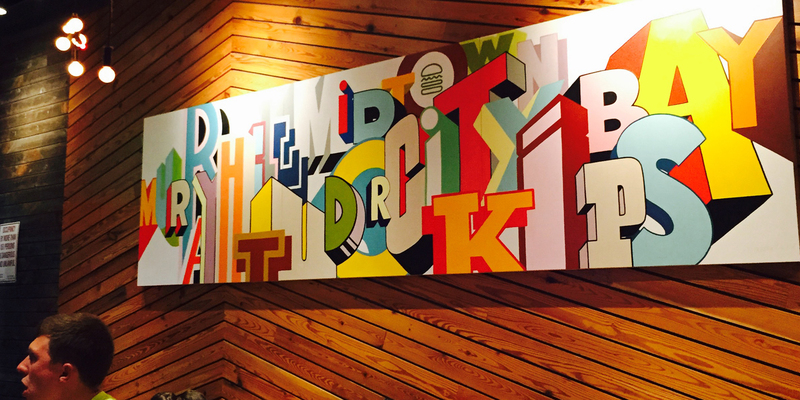 We liked the concept and we fully recommend the Chick’n Shack with crinkle cut fries!